Cédric Dumont had an especially rare look at the iconic Great Pyramids of Giza. 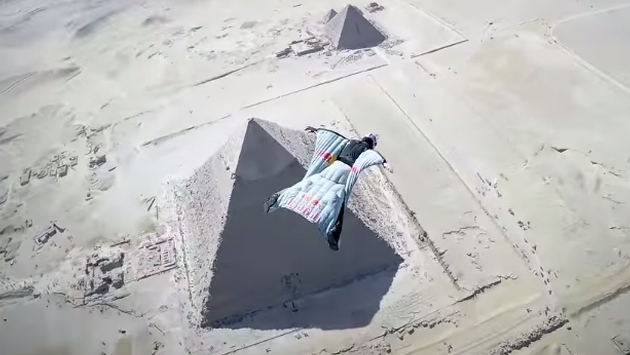 The Huffington Post’s Ron Dicker brings a stirring video to our attention—one that features Dumont soaring over the famed pyramids with a brief but breathtaking jaunt to the Egyptian ground. Now this isn’t something you can just sign up for, because even Dumont had to clear the calculated fall with Egypt's Ministry of Defense. 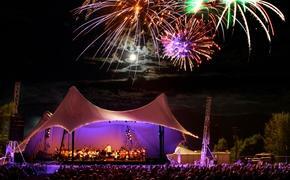 Now Dumont doesn’t just have an eye for the perfect setting; he is also prolific. According to the report, the extreme athlete has accomplished a remarkable 10,000 skydives and 2,000 BASE jumps. Starting in 1996, it seems Dumont still manages to invigorate his already sterling résumé. Now it may have taken awhile, but the maestro finally has his beautiful masterpiece.